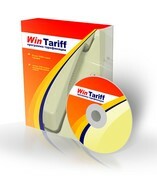 WinTariff – it’s a program to collect and process information about telephone calls. The program receives data from the office PBX about date/time of the phone call, duration, dialled number, etc. WinTariff stores data to the hard disk of the computer and uses it later in course of the processing. Based on duration and dialled number, WinTariff calculates cost of the call and determines the direction (in case of the long-distance calls – the city which has been called). The program builds up various reports – about all calls during the month, calls to a certain internal subscriber, etc. Based on data about the calls the program is able to calculate various statistical data – this data allows the user to analyse usage of the resources of the office PBX and to improve operation of your office. cities and countries. However, the user can add tariffs with codes of the town/countries you may need to adjust the scheme for the calculation of the conversation cost. Samsung OfiiceServ 100/500, 7070, 7100, 7200. See complete list here. or see special version with detailed USA&Canada codes database (about 150,000 codes; $250).